Tweet Chats can be a powerful way to network, connect with like-minded folks, and provide insight and information that you just can’t get elsewhere. With a simple predefined # (hashtag), you are instantly connected to the other Twitter users participating in real-time. We use Tweet Chats in a couple of ways at Palo Alto Software. One way is as a “back channel” for our webinars. While you listen to the webinar, you can be asking questions and participating in a complementary conversation with the planning experts at Palo Alto Software, or with your fellow participants. The other way is as part of exclusive Twitter events. In either case, to connect with Palo Alto Software and our business planning expert, Tim Berry, use either hashtag #LivePlanBoost or #AskTimBerry. We’re listening! Not sure how to use Twitter or hashtags, no worries – our friends at SmallBizTrends.com provide an overview here. If you’re participating in a webinar, we’d love to get your questions in advance! It’ll help direct the content and make sure that your specific issue is addressed. We’ll be watching Twitter closely and can answer questions “offline” (outside the webinar interface) and share resources beyond what we can cover in a webinar or demo. Tracking the hashtag via one of the tools mentioned in the SmallBizTrends.com article will show you other’s questions and our answers. You may get an answer to a question you didn’t know you had! Speak up! We want to hear from you. Really! 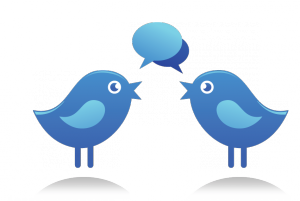 Tweet Chats are a great way to meet other like-minded folks and network. Are you new to Twitter? No problem- read this great post in Mashable by Brandon Smith: “The Beginner’s Guide to Twitter.” Have fun!